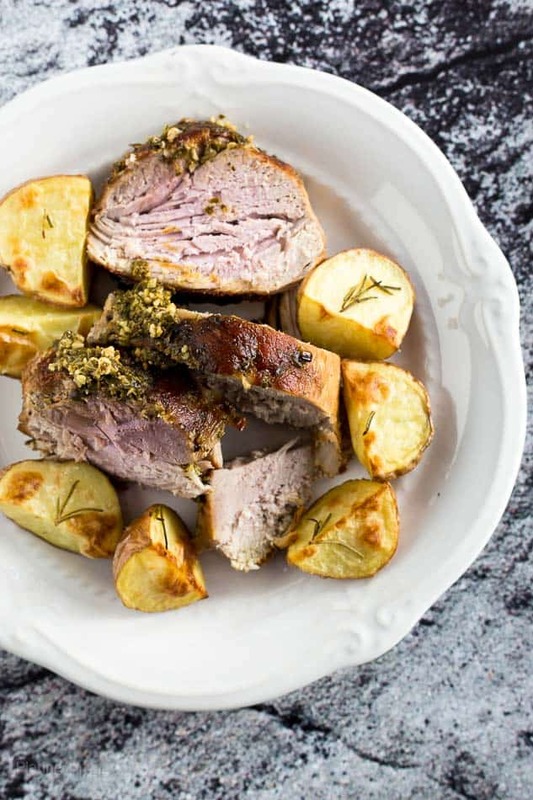 Enjoy a wholesome family dinner with this Pesto Garlic Rubbed Roasted Pork Sirloin and Potatoes. Garlic and fresh herb rubbed pork loin seared then roasted, topped with pesto sauce. This Pesto Garlic Rubbed Roasted Pork Sirloin recipe is a sponsored post written by me on behalf of Smithfield. If you have been following me on Instagram, you may know I recently traveled to Belize and Guatemala. I’ll be posting about the trip, including restaurant and activity recommendations soon. It’s literally an entirely different world over there with amazing scenery, culture and food, and the weather was amazing. Even in early March, we donned shorts, t-shirts and sandals most of the time. Coming back to California was a bit of shock, as it’s cold and rainy. As I get settled, it’s nice to get back into cooking and comfort food. This Pesto Garlic Rubbed Roasted Pork Sirloin is a wonderful way to make the best of this colder season. I used the Smithfield Boneless Fresh Pork Sirloin Roast. 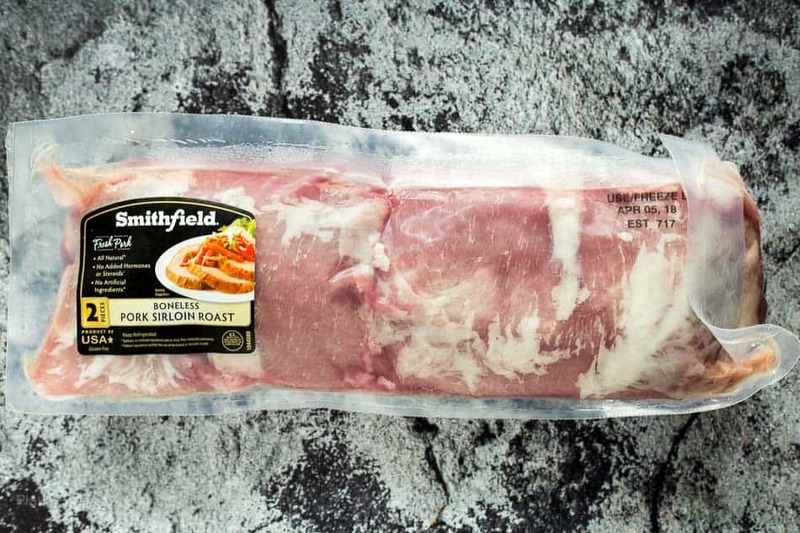 Smithfield Foods is passionate about producing sustainable meats. They use humane treatment of animals and stewardship of the environment, producing safe and high-quality products. 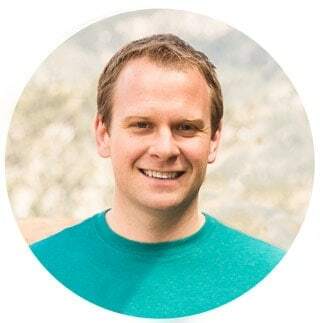 Smithfield Foods also just launched a new website highlighting the nutritional benefits of fresh pork as part of a well-balanced diet. This digital resource shows dietitians, nutritionists, and at-home cooks how to incorporate fresh pork into everyday meals. 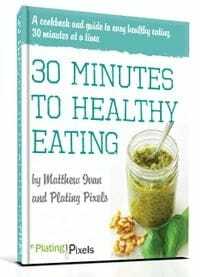 It has some great recipes that are certified by the American Heart Association and meet strict nutritional criteria based on calories, saturated fat, trans fat, sodium, and added sugar. Try out Chili Rub Slow Cooker Pulled Pork, Grilled Fresh Pork & Veggies with Lemon, or Spicy Skillet Fresh Pork with Veggies. For more information on fresh pork nutrition and tips, visit SmithfieldFoodsBalance.com. 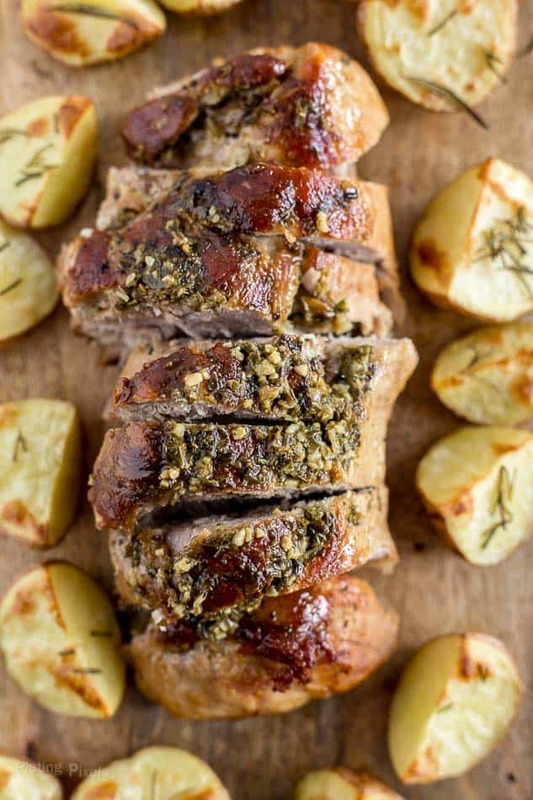 Pesto Garlic Rubbed Roasted Pork Sirloin is a perfect family meal, anytime. Prep is quick and simple. Start by browning the pork roast in a pan over high heat. This adds extra flavor and provides nice texture. Then rub with a seasoned garlic, thyme and rosemary mixture and roast in a covered pot until tender. Finish off with a pesto garnish and serve with roasted potatoes for a complete, wholesome meal. Garlic and fresh herb rubbed pork loin seared then roasted and topped with pesto sauce. Preheat oven to 350° F. Sprinkle both sides of pork roast evenly with salt and pepper. Heat olive oil in skillet or dutch oven to medium-high heat. Add the pork roast and cook 4-6 minutes, or until browned, rotate and brown other side. Remove from heat. In a medium bowl, stir together garlic, thyme and ½-tablespoon of rosemary. Rub over both sides of the pork roast. Cover pan and place in oven. Roast 45-60 minutes, or until internal temp reaches 145-150° F. with an instant read thermometer. Remove from pan, rub with pesto sauce and cover with foil. Meanwhile: Raise oven temp to 425° F. Place potatoes on a foil-lined baking sheet. Lightly coat with olive oil, sprinkle with salt and remaining rosemary. Roast 15-20 minutes, or until browned and tender. 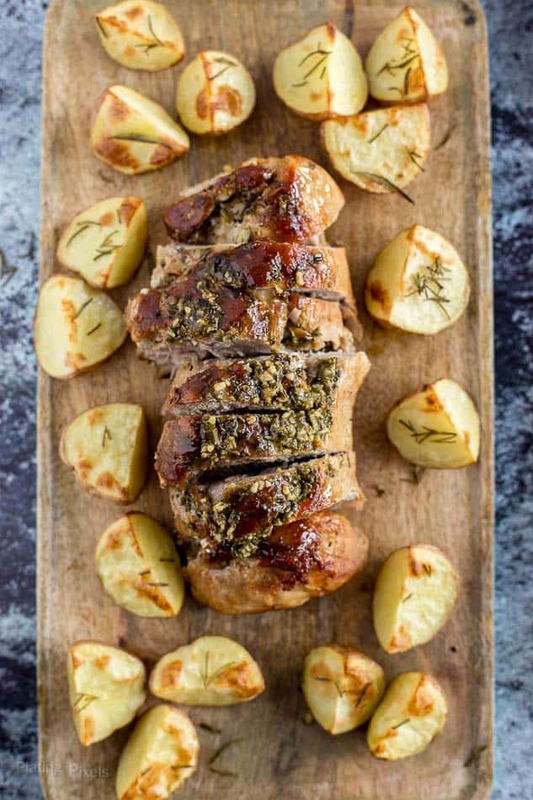 Slice the pork roast and serve with potatoes. 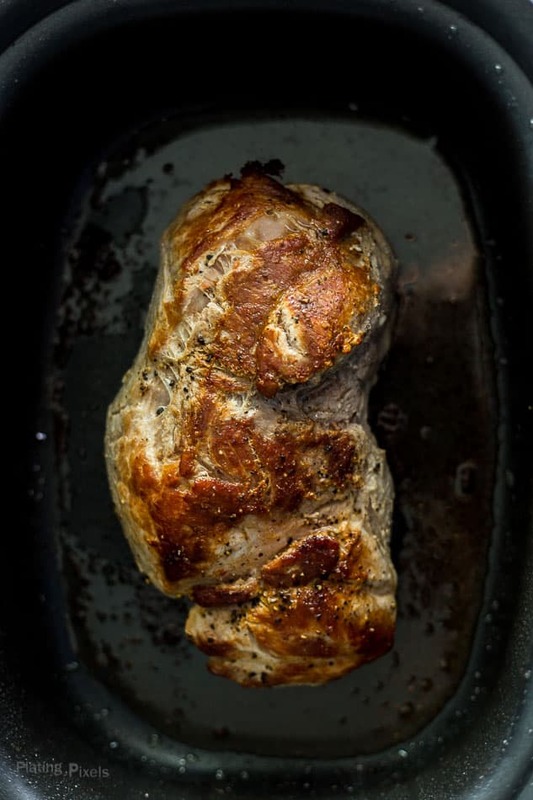 You can cook the pork roast longer to make it fork tender. In a covered pot, it has a similar effect to slow cooking.